Junkporters provides an award winning business model and brand along with unsurpassed training and support. You provide some capital along with passion, perseverance and patience. 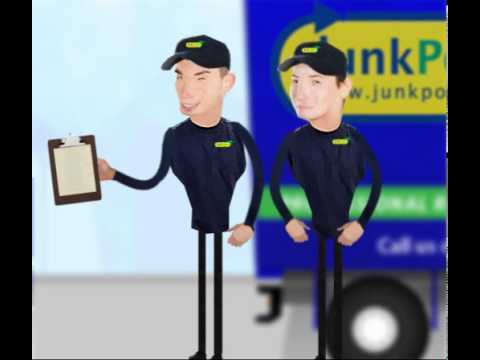 We intend to become the UK's no.1 choice for junk removal. To achieve that goal we need exceptional managers with the ambition and resources to set up Junkporters franchise operations across the country. You are making a difference. This is one of the few businesses where you can feel great about the service you provide your customers. Junkporters supports the communities they serve and assist with numerous environmental community initiatives. About 85% of what we remove is either recycled or donated to charities including Goodwill, charities for Homeless people. When you join the Junkporters team, you will be awarded an exclusive territory engineered to give you the best opportunity to grow your franchise into a highly profitable multitruck operation. Junk Porters is a strong and dynamic company leading the way in an industry that is taking off. Many lucrative and highly desirable territories and markets are still available in England and Scotland. We Do not sell multiple regions to the same Franchisee. To secure your market, you must act now. Time is of the essence. For all Junkporters UK Franchise enquiries, please contact us at franchise@junkporters.co.uk attaching a short CV, an explanation of why you are interested in taking on an Junkporters franchise, specifying where in the UK, you are based.